Nicole Wermers’ sculptures, collages and photographs connect formal considerations with a discussion about urban space and its social, economical and psychological aspects. Visible and invisible structures of the city and their manifestations within architecture, advertising, and designed objects that influence our physical movements and actions, all form frames of reference for her artworks. The ways in which modern surfaces and materials, two- and three-dimensional spaces construct desire and communicate emotions and power is the principal area of her ongoing research practice. Most of Wermers’ work, although appearing abstract, refers to concrete objects and structures of everyday urban life, such as the gate-like security devices at the exit of departments stores, or gallery-based sculptures that appear to double as standing ashtrays. Examining the urban experience and the production of public and private space, Wermers will investigate transitional spaces within the city such as museums and cafés, the artist’s Stanley Picker Fellowship focussing on her research interests around the interface of art and design, investigating the grades of utility and functionality of sculptural objects. 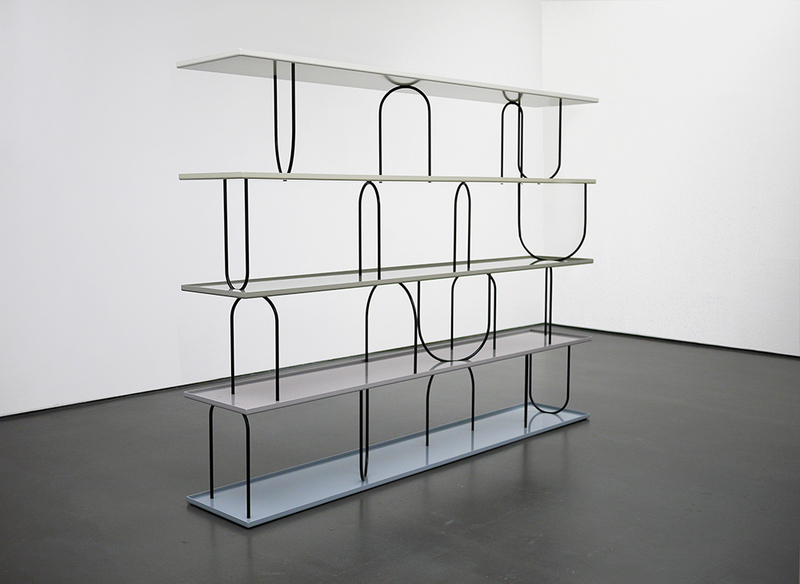 Nicole Wermers was nominated for the Turner Prize 2015.